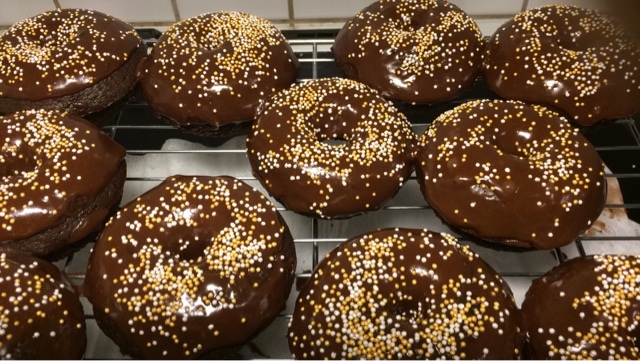 The second donut recipe I tried. I made 6 of these on a Friday evening, and got 1. There were none left. I guess the ghost got them. 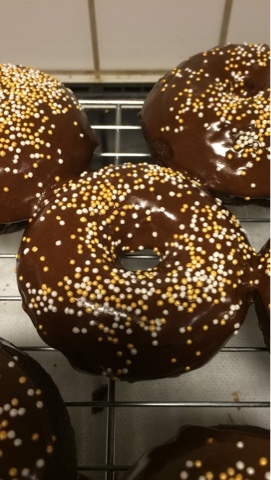 This double chocolate baked donut recipe was fairly straight forward for the batter, and the glaze was an unusual mix as it included honey (unusual to me at least), however it had a beautiful shine to it, so I am not complaining. 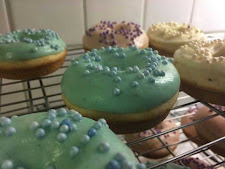 I found the resulting donut to be a little bit dry, so felt the buttermilk needed to be increased for my next attempt. 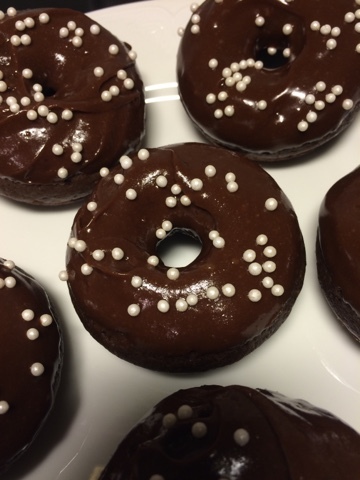 I made them again for my colleagues, and as with all things chocolate, they were certainly appreciated.